NOTE: Please pick up your brass when you're done shooting on the rifle range. Let's keep the place clean and safe for other shooters. 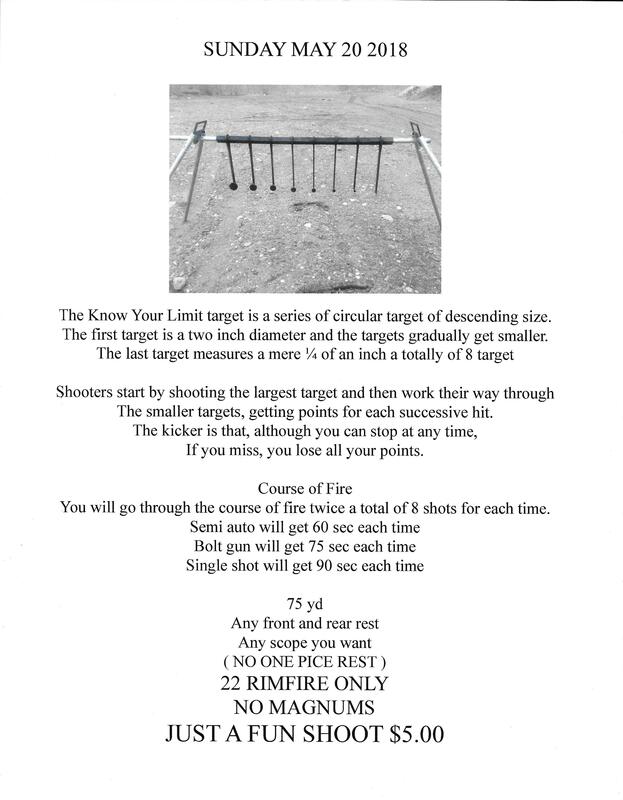 Our Rifle Range consists of 1 off hand position, 1 kneeling, and 1 prone position. All others are benchrest only. Target stands are at distances of 25 yards, 50 yards, 75 yards, 100 yards. 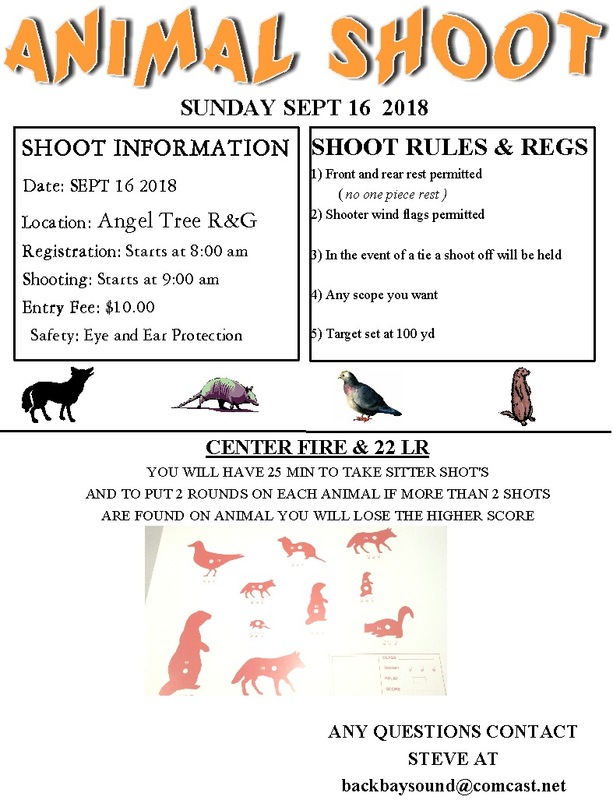 The Range is open 8:00 am to sunset Monday through Friday, 9:00 am to sunset on Saturday and 10:00 am to sunset on Sunday. 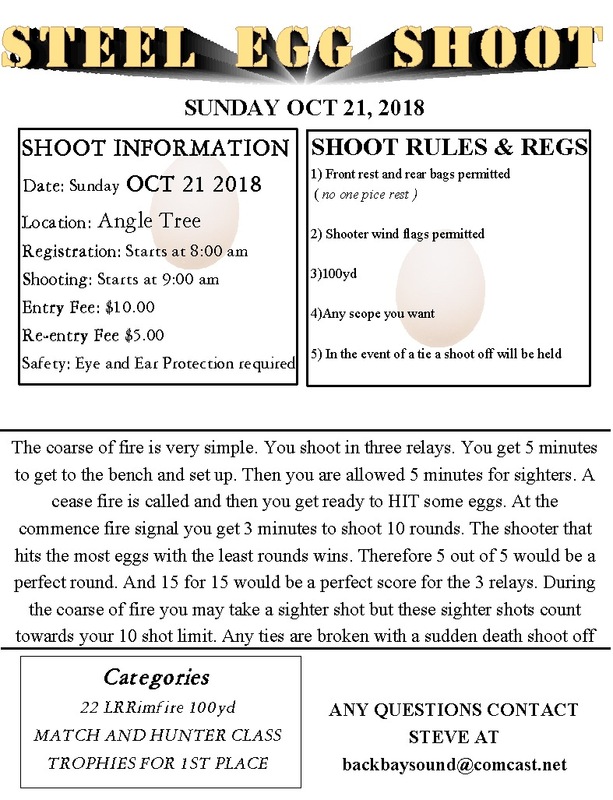 Please note that ONLY .22 caliber may be fired before 9:00 am. Let's keep our reputation as a good neighbor. 1 No more than five cartridges may be loaded in a rifle or shotgun on the outdoor rifle range. It is recommended that rounds be single loaded if possible. 2 There is to be no rapid or un-aimed firing. 3 Bore sight your rifle, if possible, before firing. 4 Offhand shooting of rifles, shotguns or pistols on the rifle range must be done from offhand shooting position only. Follow the posted therein. 6 Centerfire rifles may not be fired on the indoor range. 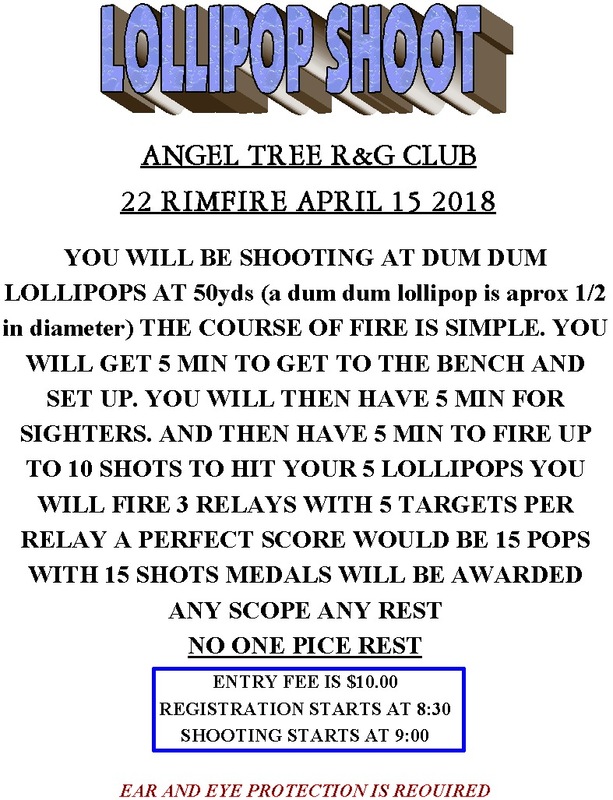 7 The .50 caliber BMG is prohibited on all club ranges. 8 Bullseye targets with adhesive on the back shall be put on targets, then put on backer board down range. Do not install directly on backer board. 9. Shotguns may be used on stations one (1) and (2) only and only at 25 yards.